The #1 Decking Contractor in Austin! Are you looking for a professional deck repair contractor? Maybe you don't own a deck currently, but you're looking for a professional deck company to install a deck for you. With Austin Deck Contractors, you can rest assured knowing that all of our professional deck contractors and fence builders understand the aesthetic you want and the vision you have for your home. We believe that it is important that you have creative freedom and authority when it comes to deciding how your deck looks – after all, you're the one who gets to enjoy it every day once the project is completed. Why would we push you to have something you don't absolutely love? At Austin Deck Company, we aren’t just deck builders in Austin, TX. We take pride in our work and designs, ensuring that you are happy with the outcome of your deck or patio. Our professional designers will work with you to help find the perfect aesthetic, color, and design for your decking project. When you’re working with a deck company in Austin, TX., it’s important to make sure that you have all of the details covered and they’re willing to work with you not only to provide a service, but to provide a lifetime of enjoyment. All of our deck installation specialists are trained and certified in deck building and deck repair in the Austin, TX. area. We know what types of wood are better, how to properly seal your deck to protect it from the elements, what types of materials will accept stain better than wood, you name it. Any questions you may have during the deck installation process, you can ask our qualified professional deck builders to answer your question with expertise. We’ll help you ensure that, with proper maintenance, your deck will withstand the toughest storms, children or grandchildren playing and roughhousing, years of normal wear and tear, and decades of Summer sun. Are you ready to build the deck of your dreams? Austin Deck Company is the premier deck construction company in Austin, TX! We will build you a deck or outdoor structure that would provide you, your family and your friends with years of relaxation, fun and great memories.. Ready to build your place to escape, entertain friends, have a family cook out? Call Austin Deck Company today for a FREE quote. Excellence and Integrity – We stand behind everything we do. Our reputation and your satisfaction mean everything to us. You won’t find deck contractors in Austin that operate with greater integrity – we guarantee it! 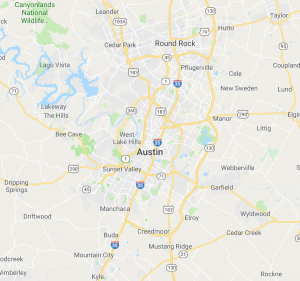 Locally owned and operated – We live in Austin. The Austin and Round Rock area is our home! We’re proud to be the best decking contractor and decking company in Austin. Competitive Pricing – We don’t think you should have to overpay to get the best quality and the best service for your deck, pergola or gazebo in Austin, TX. We want to be your go-to Deck Contractor in Round Rock and Austin, so we guarantee a beautiful deck and excellent service at a competitive price!